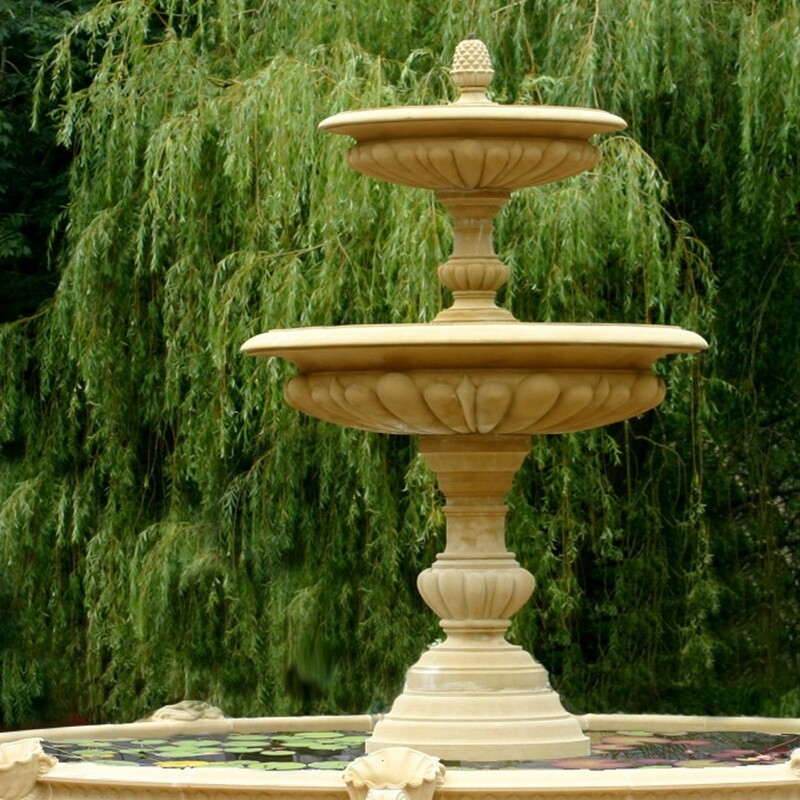 The impressive Large Two Tier Vermeer Garden Fountain by The David Sharp Studio is an ideal Fountain centrepiece for any large garden or Grand country house. 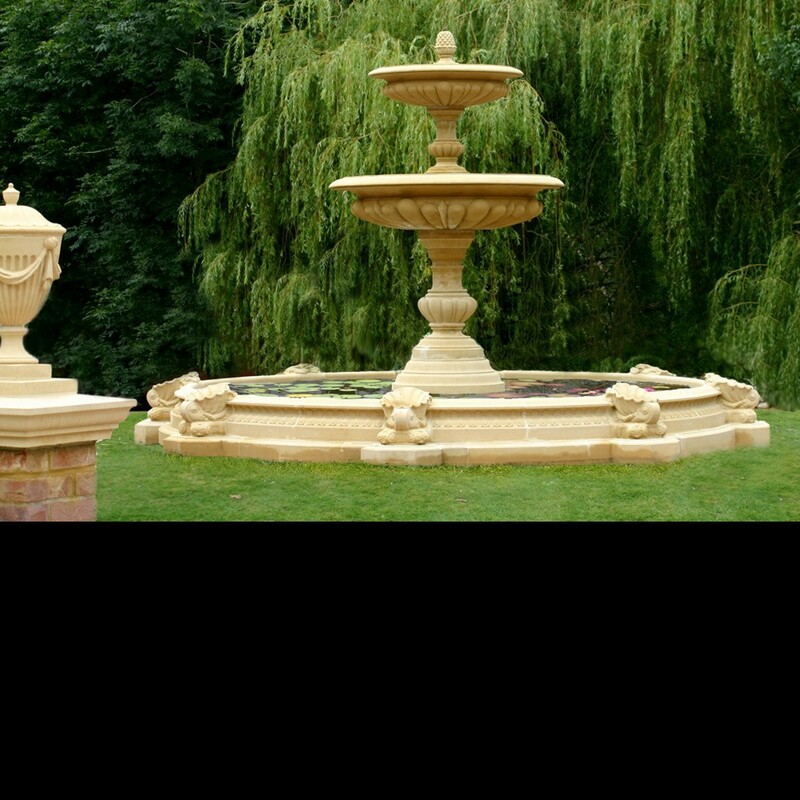 The Fountain is shown here in our WP1D X Large Windsor Fountain Pool Surround. 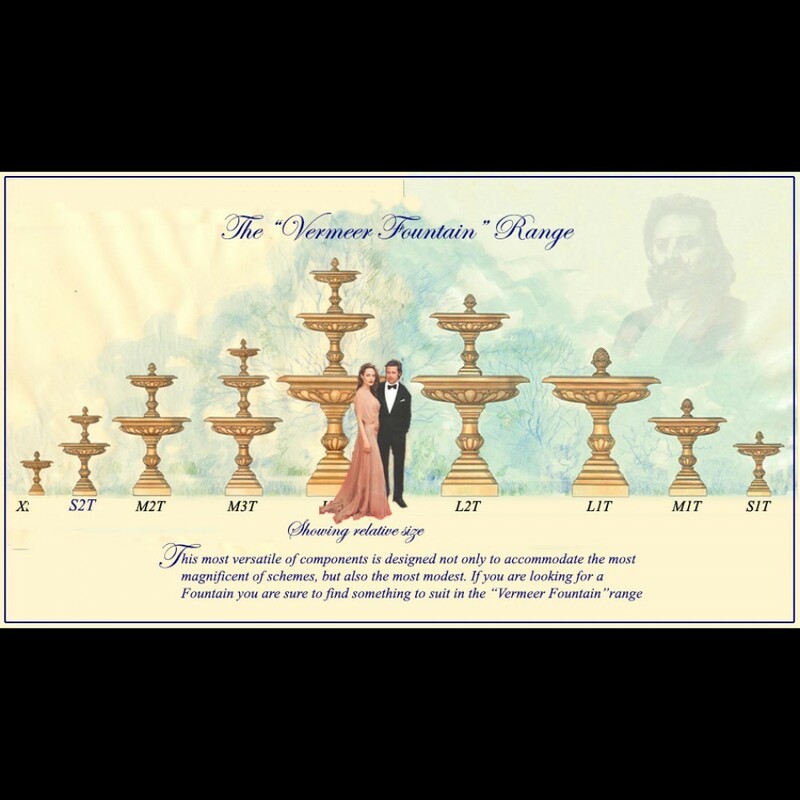 The Large Two Tier Vermeer Fountain Looks equally as grand in one of our many other designs of Fountain Pool Surrounds. 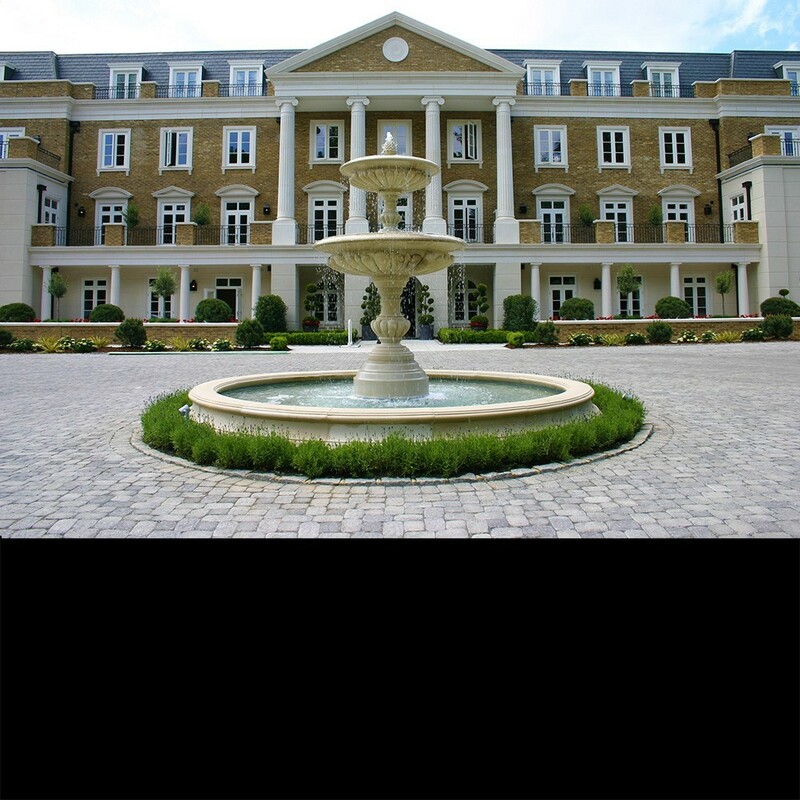 All Pool Surrounds are sold separately and can be found in the Pool Surrounds section. 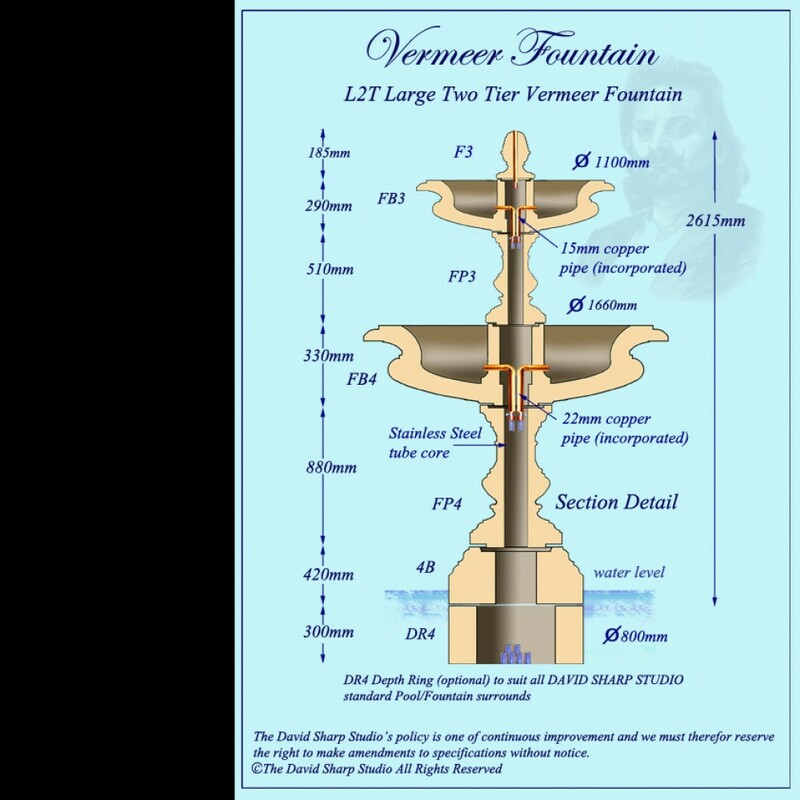 The Vermeer Design and Build Process.